Leather is a key sector for Supporting Indian Trade and Investment for Africa (SITA). 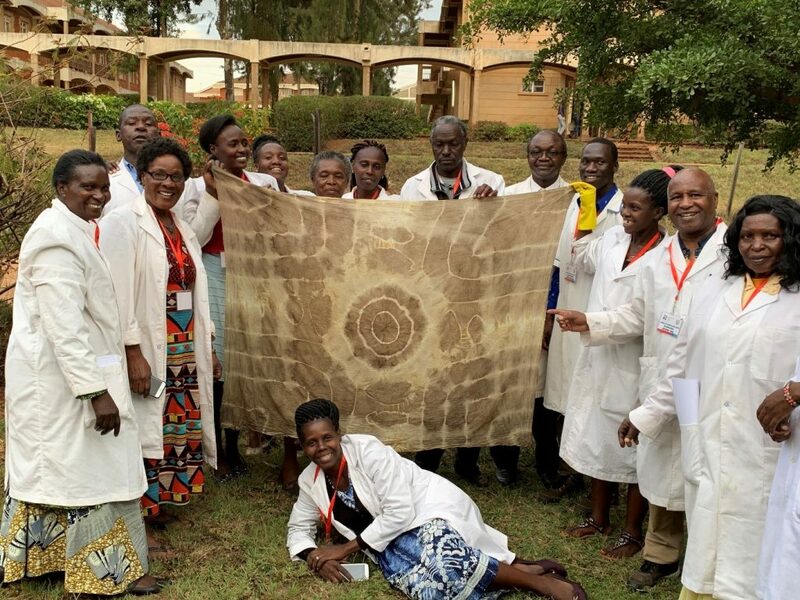 The project has a strong focus on investment promotion activities into the leather value chains in Kenya, Uganda and the United Republic of Tanzania. SITA has already had success in facilitating investment in the region and is working to attract more Indian leather investors to East Africa. With its huge livestock population and an underutilized leather sector, the region presents many opportunities for sector development and in turn employment generation for local workers. These include through the establishment of slaughterhouses, enhancing tannery capacity to produce quality finished leather, the establishment of leather footwear and leather goods manufacturing units, and other supporting industries. The dedicated industrial parks for leather and barrier-free environments in the export processing zones (EPZ) provide an attractive base for investors interested in East Africa. 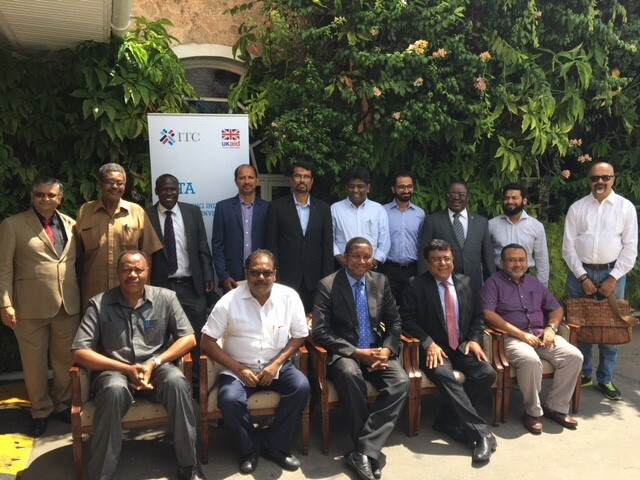 From 3-8 December 2017, SITA supported an investment and sourcing delegation from India to United Republic of Tanzania, Uganda and Kenya. Led by Mr. Mukhtarul Amin, Chairman of India’s Council for Leather Exports (CLE), the Indian delegation consisted of 12 CLE member companies from four different leather clusters – Delhi, Kanpur, Kolkata and Chennai. Many of the delegation members were new to East Africa and unaware of the region’s leather industry. 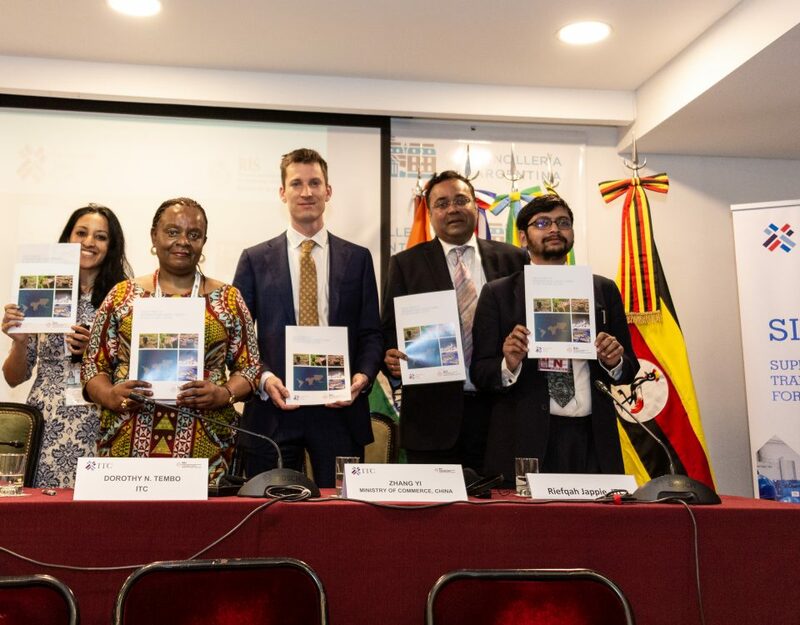 Through investment roundtables organised in the three countries, the Indian delegates were introduced to the many attractive opportunities in the region. The Indian delegates met with key government officials as well as representatives from various trade and industry associations. Mr. Govind Venuprasad, SITA Coordinator, hosted the investment roundtables in each of the three countries. 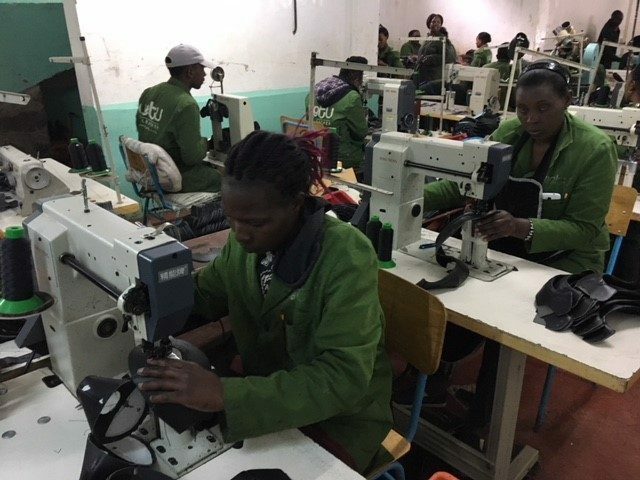 In Tanzania, Professor Adolf Mkenda, Permanent Secretary, Ministry of Foreign Affairs and East African Cooperation, highlighted the government’s focus on the leather sector under its ongoing industrialisation plan. ‘Tanzania has the second largest livestock in Africa and yet we import most of our leather products. We have a growing demand, but the goods are not being generated within our country. Our young population is looking desperately for jobs. We know the answer is to increase linkages in the economy…unless we link the industry players we cannot address these local issues,’ he said. Mr. Mukhtarul Amin introduced the leather industry in India, highlighting the opportunities that the two countries could seize through working together. ‘Tanzania is a place where we can definitely think of investment. The economic relationship between both countries is strong and India is among five top investors in Tanzania. The leather trade between our two countries is also growing; Tanzania offers a lot of raw material, while in India we have the technology, and very strong training institutes. While synergies are there, we are looking for opportunities to be further discussed,’ Mr. Amin said. Trade and investment presentations were delivered at the roundtable, setting the stage for informed and targeted discussions during the Q&A sessions. Mr. Elibariki N. Mmari, Chairman of Tanzania Chamber of Commerce, Industry and Agriculture and Board Member of the Leather Association of Tanzania assured the Indian guests of all support necessary to set up their business in Tanzania. ‘The Leather Association is ready to work with you and give all the information you need for setting up a leather industry here,’ he said. In Uganda, the Minister of State for Trade Hon. Michael Werikhe Kafabusa expressed his thanks to SITA for working together with the government to develop the leather sector, and commended Mr. Sarvathullah Mathari on his plans to invest in the country. Mr. Mathari, a member of a previous Indian delegation to East Africa facilitated by SITA in November 2016, is looking to invest in the first leather footwear manufacturing facility in Uganda. 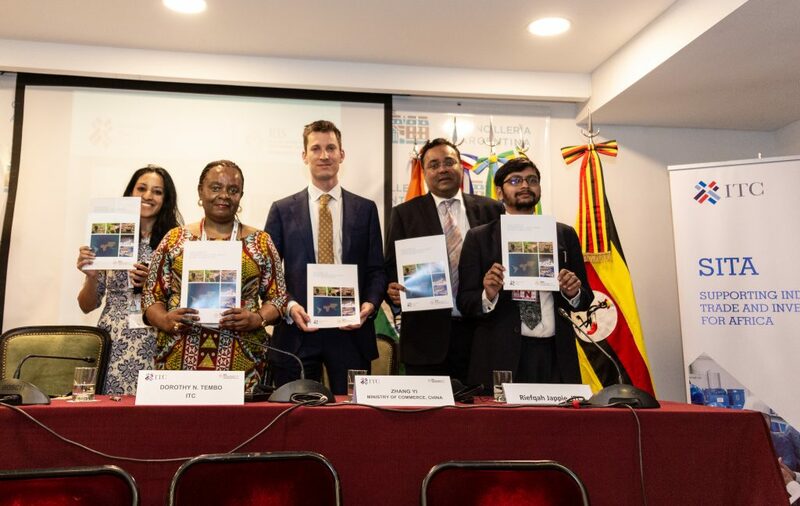 His Excellency Ravi Shankar, High Commissioner of India in Uganda, summarized the reasons to invest in Uganda with an emphasis on Buy Uganda, Build Uganda policy that promotes scope for value addition and the need to look beyond sourcing. ‘This is the right time, if you keep on waiting, you may lose the early bird advantage,’ he commented. ‘Uganda is the hub of the region,’ said Ms. Hope Waira, Senior Investment Executive of Uganda Investment Agency, explaining the various parts of the country suitable for investments and the specific incentives. In Kenya, Hon. Adan Mohamed, Cabinet Secretary, Ministry of Industry, Trade and Cooperatives, stressed the importance of reviving the leather sector – a key focus of the government. The current challenge is production of finished leather and leather products. ‘We import nearly 30-35 million pairs of shoes every year – what an opportunity – you can come here and start making the shoes here. We make sure that you become competitive – this is what it means to be partners,’ Mr. Mohamed said. ‘The presentation I have seen today gives me a lot of confidence that we are in a right place to do business. We are looking for partners and want to move forward,’ Mr. Mukhtarul Amin commented. In addition to the investment roundtables, Business-to-Business (B2B) meetings were arranged with local tanners and footwear/leather goods manufacturers in all three countries, for Indian companies to gain an understanding of the trading and partnership opportunities. Accordingly, business linkages were established between the 10 Indian companies and over 40 leather companies from Tanzania (12), Uganda (10) and Kenya (19). The Indian delegation also engaged with representatives of 14 Trade and Investment Support Institutions (TISIs) in the three countries, enabling institutional linkages to form between the TISIs and Council for Leather Export. This will benefit the participants in terms of sharing market knowledge and best practices in the leather industry in future. 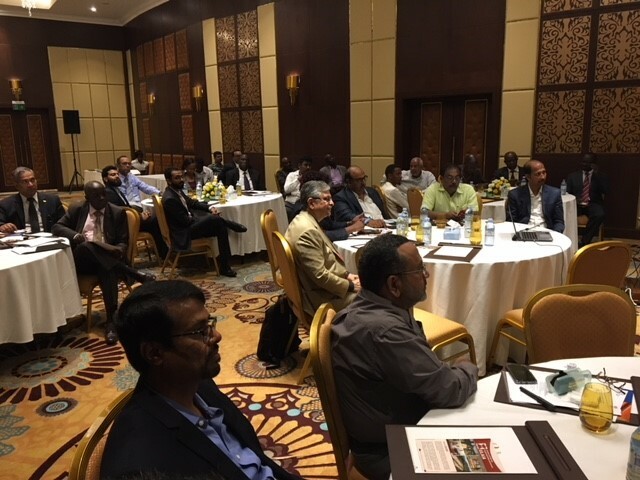 In addition, during the two networking dinners organized in Tanzania and Kenya, Indian delegates met 17 members of the Indian Business Forum – executives from different industries of Indian origin – thus gaining further insights on the business environments in the respective countries. Further, the visit to Export Processing Zone (EPZ) in Athi River, Kenya, and the meeting with Export Processing Zones Authority (EPZA) CEO, Mr. Fanuel Kidenda, highlighted the available options for investors with an export focus and addressed operational queries such as land availability and prices, utility and labour costs, among others. The visit led to follow-up enquiries on available sheds within the EPZ as well as other locations outside of EPZ. The delegation also visited three tanneries – Leather Land Ltd in Uganda, Athi River Tanneries and Mas Tannery in Kenya – resulting in the negotiation of trial orders. 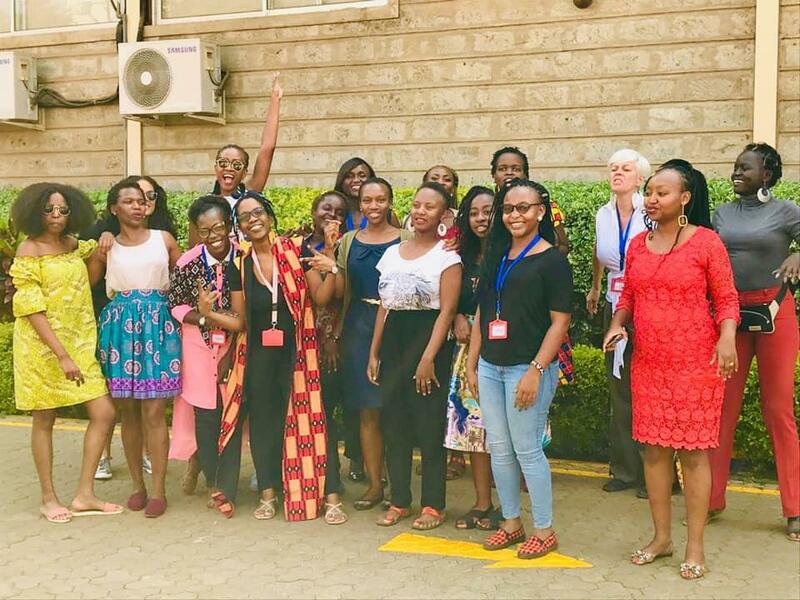 The visits to three footwear manufacturing companies – Bora Industries Limited in Tanzania, Ravenswood Limited and Yetu Leather Ltd in Kenya – enabled delegates to observe the technologies and processes used by local manufacturers and discuss potential challenges these businesses face. Offering key insights on the needs of the local markets, the visits highlighted investment opportunities in footwear manufacturing and opened possibilities for partnerships. Follow up meetings between Indian and East African businesses are now scheduled during the India International Leather Fair (IILF) in Chennai between 1-3 February 2018. 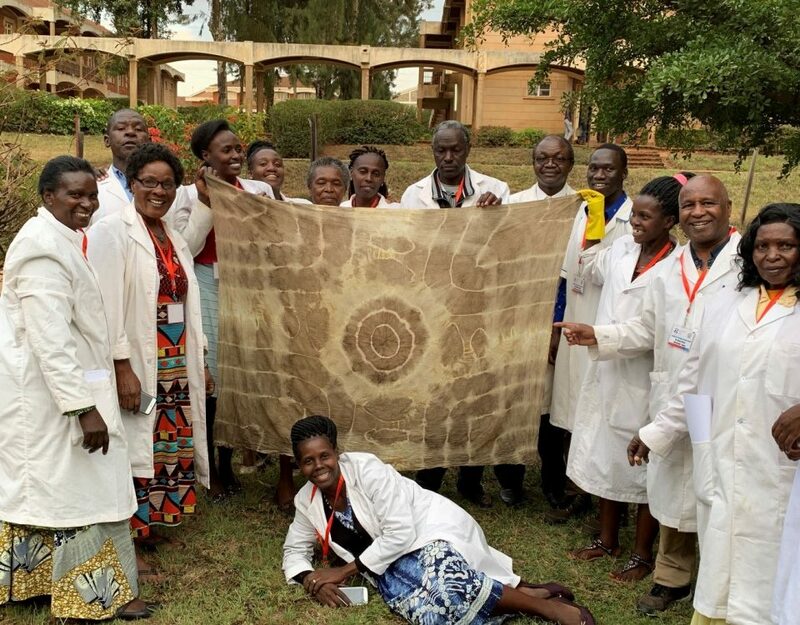 Impressed by the visit and the mission outcome, India’s Council for Leather Exports now wants to explore other SITA beneficiary countries in East Africa for trade and investment opportunities. Accordingly, SITA will facilitate a leather investment and sourcing mission for CLE members to Ethiopia and Rwanda in June 2018.